Cabinet smokers are used by both backyard BBQ cooks and competition BBQ pros for their ability to turn out top quality BBQ results. They feature a vintage, easy to use design, and smoke with indirect heat for juicy results. 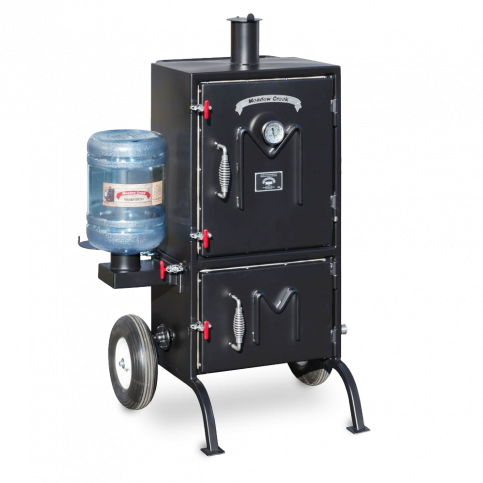 Big Poppa Smokers offers a variety of BBQ smoker brands in various sizes - from the popular Backwoods Chubby model to Humphrey’s Battle Box model, you’ll be sure to find a cabinet cooker that suits your smoking needs. The Chubby G2 has the same smoking abilities as the original Chubby but the Chubby G2 has had some work done.. - Fully built for competition smoking the Chubby G2 is 6 inches deeper than the original Chubby, is power coated for resistance against heat and so much more! Check out the Chubby G2 for more upgraded features. The Weekender model is a compact BBQ smoker you'll be cooking on every weekend. It's durable, reliable and best of all portable. This heavy-duty cooker is perfect for tailgates, backyard BBQ and small gatherings. Order yours today! This Fatboy has been expanded and can now handle full-sized meat for some serious smoking. The G2 Fatboy is the second generation of Fatboy Backwoods Smokers and is a bigger and better option for serious BBQ competitors. As always, this Fatboy is made with Heavy-duty Backwoods construction, and made in the USA! It's a party in the USA! The Party is also made in the USA and by The Party we're talking BBQ smokers. Backwoods Smokers has brought the "Party" to BBQ competitions and to backyards with their high-quality, durable Party smoker. The Piglet Plus is a larger version of the original Piglet. The Piglet Plus is 6'' deeper for more cooking space, now you can fit a bigger hog! 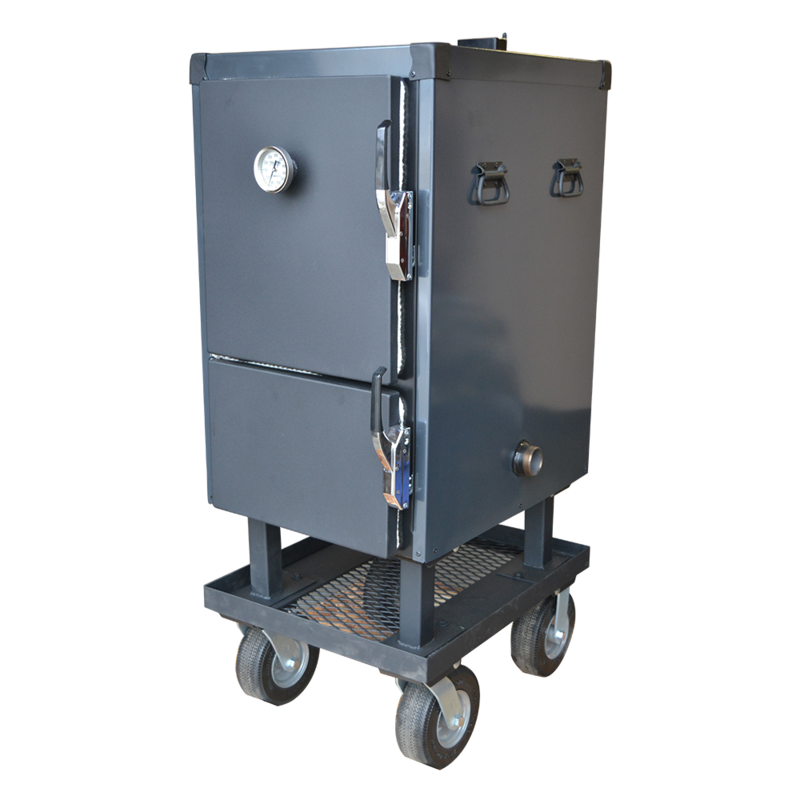 This is the smoker you need if you compete, cater or have large parties. This Piggy will handle all of your smoking needs. The Piglet is a 2-in-1 competition smoker. The Piglet was born out of competitors needs to cook whole pork shoulders, and small hogs, now you have the Piglet which has DOUBLE the capacity of the Party. The power of this smoker will make fellow competitors envy you. Make double the BBQ, with double the space with the Piglet. 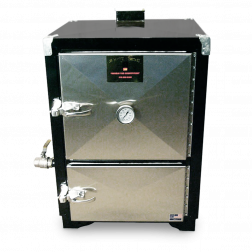 Let Big Poppa Smokers help you find the best BBQ cabinet smoker that best fit your smokin’ needs. 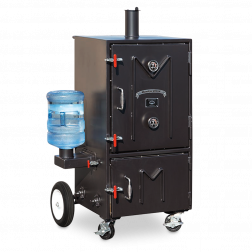 Big Poppa Smokers offers a wide selection of the best BBQ cabinet smokers for any use - competition BBQ use, backyard BBQ use and even for BBQ catering use. Many of the featured cabinet smokers offer customizable options to best suit what you’re looking . You’ll find or you can customize the BBQ smoker of your dreams at Big Poppa Smokers online BBQ store. Cabinet smokers are known for their vintage cabinet design and for their indirect smoking that produces juicy BBQ results. Many of the featured cabinet smokers are used by BBQ competition BBQ teams for their ability to produce top notch BBQ results, the featured cabinet smoker brands are well-recognized across the BBQ circuit as the best all around - Featuring top brands like Humphrey’s BBQ Smokers and Backwoods Smokers, there’s no doubt that any of these BBQ competition smokers will let you down. 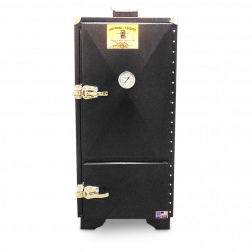 With popular cabinet smoker models like the Backwoods Chubby and Humphrey’s BBQ Smokers DownEast Beast to choose from, any cabinet smoker you choose will provide you with the championship results you’ve been looking for. Versatility, durability, and high-quality is what you’ll find in all of the featured cabinet smokers at Big Poppa Smokers. 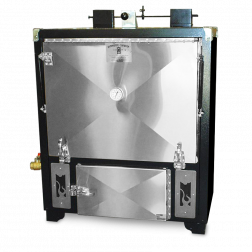 Water smokers, gravity feed smokers, whole hog smokers, small smokers, large smokers, insulated smokers, you can find any type of cabinet smoker at Big Poppa Smokers. Shop Big Poppa Smokers selection of the best, USA made cabinet smokers to take your BBQ to the next level. 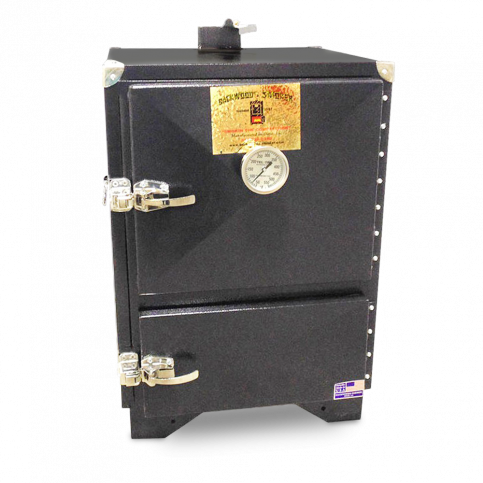 Humphrey’s BBQ Smokers Battle Box is a customer favorite for it’s ability to smoke BBQ meat to perfection. Humphrey's BBQ smokers are known for their high-quality, durability and ability to deliver top-notch BBQ results. 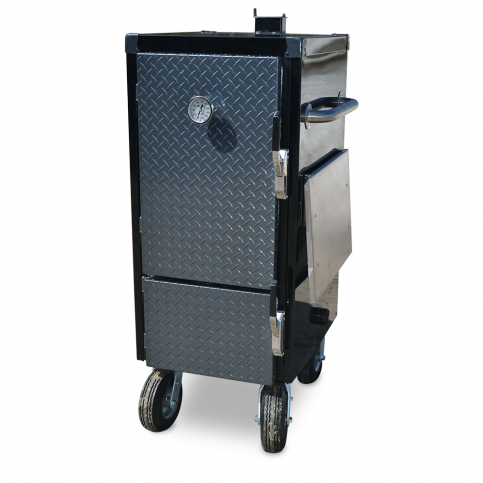 Humphrey's BBQ Smokers Battle Box is ideal for BBQ addicts who like to smoke on the weekends and for BBQ professionals who like to take the stage at BBQ competitions. The Battle Box is a dependable BBQ smoker that will give you years and years of competition quality BBQ results. 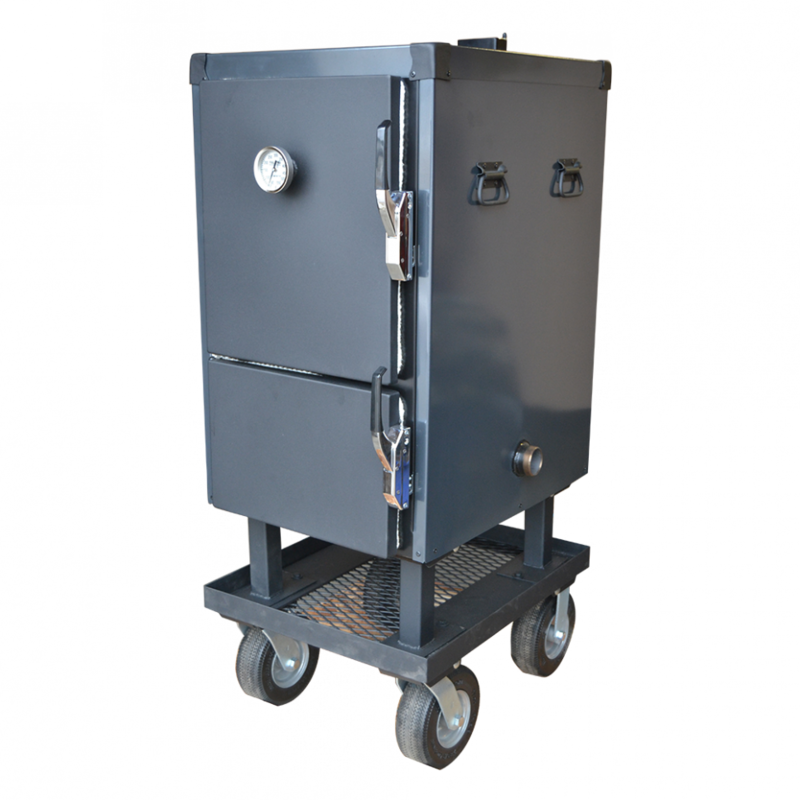 It's a fully customizable BBQ smoker, so you can order this heavy-duty smoker to suit your BBQ smoking needs. Get a championship cabinet smoker for the best BBQ results possible. 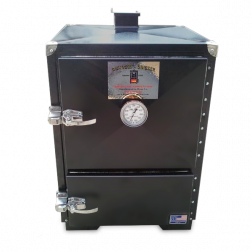 Humphrey's BBQ Smokers are built to give you a lifetime of easy smoking. Humphrey’s BBQ Smokers are known for their high-quality, durability, and ability to turn out championship BBQ results. These heavy-duty BBQ Smokers are handcrafted with only the best materials to ensure you get top-quality BBQ results with every cook. You can expect these cabinet BBQ smokers to provide you with years of dependability. Humphrey’s BBQ Smokers The Pint is perfect for both backyard BBQ and competition BBQ. It’s not too big and not too small. You can customize The Pint to best suit your smoking needs. Learn more about the amazing custom options Humphrey's BBQ smokers has to offer. Backwoods Smoker Chubby is a fan favorite for it's amazing smoking abilities and much more. Backwoods Chubby is well known for it's ability to produce top-notch smoky results in both backyard and competition BBQ. The Chubby BBQ cabinet smoker may be the smallest of the Backwoods Smokers but despite it's size this competition quality smoker delivers mind-blowing BBQ results. The Chubby BBQ smoker is versatile enough to be used as both a championship BBQ smoker and a top-notch grill. 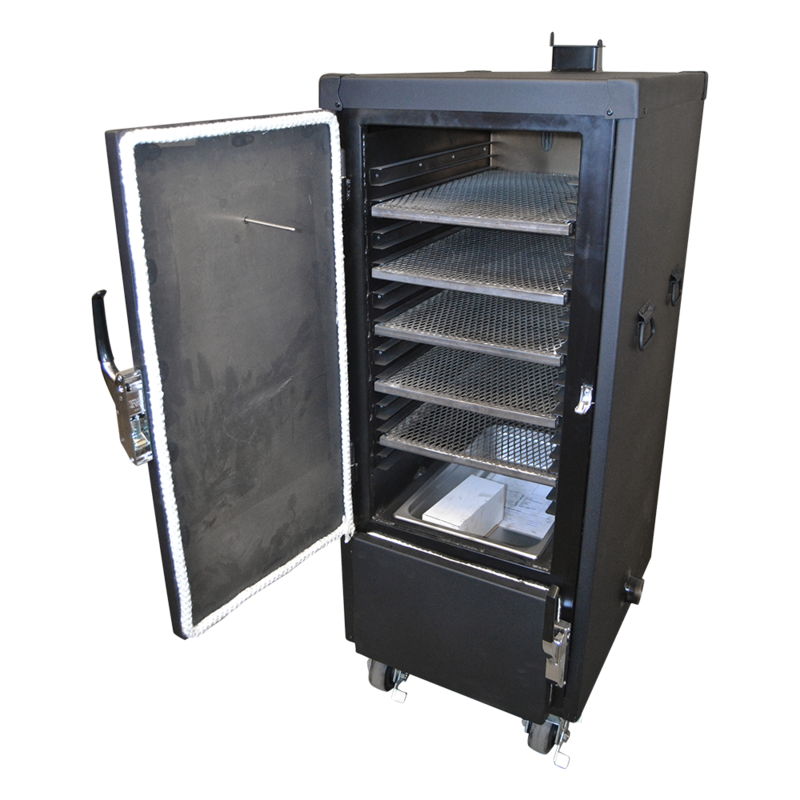 If you're looking for a heavy-duty portable smoker, this is the BBQ cabinet smoker for you. The Backwoods Chubby offers versatility, portability, durability, and dependability for the best BBQ results. This is a championship smoker you can count on for years. The BX25 is a BBQ smoker that won't let you down. Meadow Creek's BX25 is handcrafted to offer you only the best BBQ smoking experience. With the BX25 gravity water smoker by your side you'll be able to achieve the best BBQ results possible. 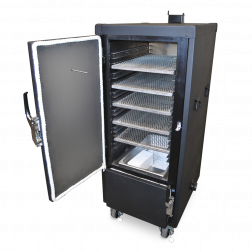 The BX25 cabinet smoker is durable, dependable, easy to use, fuel efficient and built Meadow Creek strong. 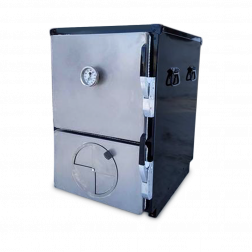 This heavy duty BBQ smoker allows you to smoke dry or with water, any way you utilize this smoker, you'll achieve top-quality BBQ results. No smoker on the BBQ market can compare to the durability and top-notch BBQ results the BX25 smoker has to offer. Any backyard BBQ or competition BBQ cook will fall in love with the capabilites of the BX25 cabinet smoker. After spending over a decade in Kansas City and learning the art of BBQ I've been dreaming of a competition quality pit for several years and I can't put into words how much I love my Chubby.....it's incredible! It's taken very little time to learn temperature control, and once you get it set it's so stable you can literally take a nap. ...My conclusion is this cooker is built to last several lifetimes with minimal common sense maintenance things like cleaning her to prevent grease fires that will potentially warp her. I am now a big fan of this cooker and she gets the Genie’s Glowing Thump of Approval!